The first signs of the NCECA invasion are hitting Kansas City. Several incredible ceramic exhibitions opened on Friday night. My whole family enjoyed seeing 3 shows at Penn Valley Community College’s Carter Arts Center. (note: the Gallery is on the south side of campus. Many GPS programs will automatically route you to the north side. 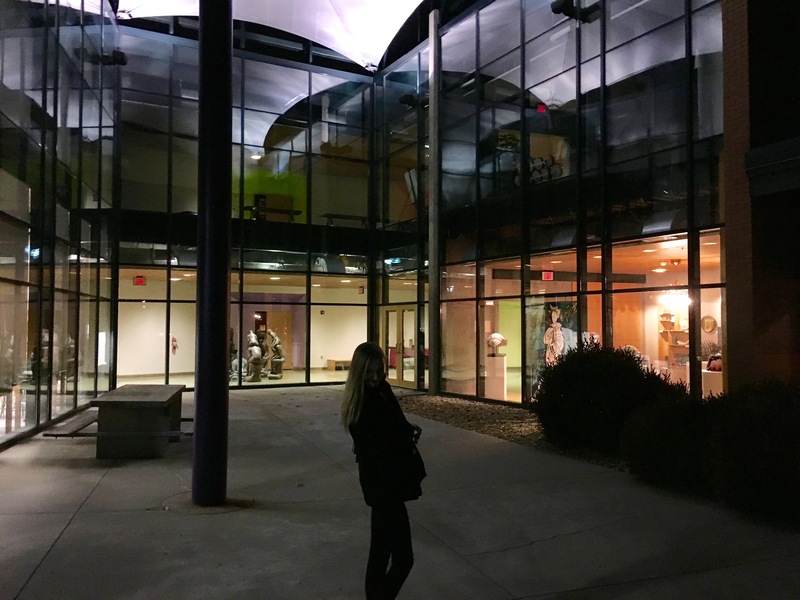 The gallery has a beautiful glass front with an amazing sculpture right inside. If you don’t see this, you’re on the wrong part of the Penn Valley Campus. Inside this beautiful space, you will find three galleries housing three synergistic shows. 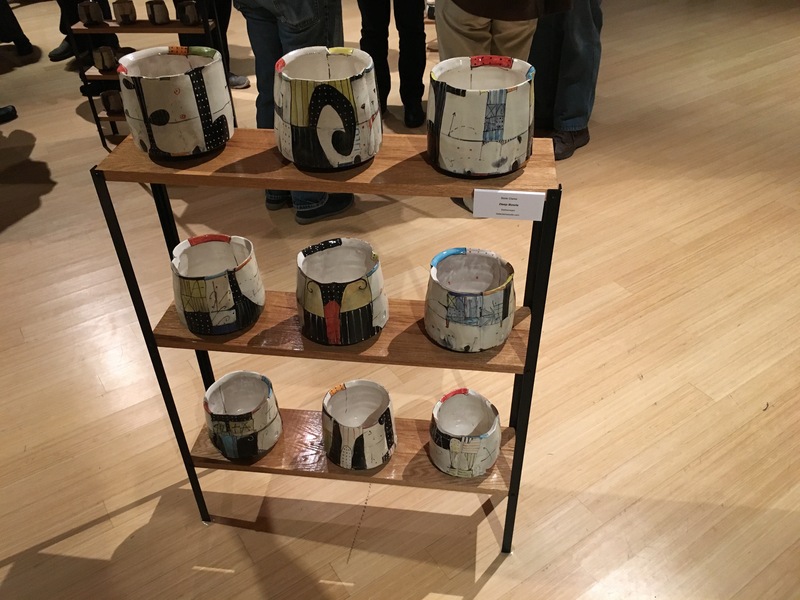 First, the University of Missouri – Columbia Ceramics Graduate Student Exhibition will delight you with a variety of works. Click the link above or the image on the right to read more about this exhibition. In the large middle gallery, you will find “Strictly Figurative.” The concept for which began with a trip by Kansas City Art Institute ceramic Alumni of the early 90’s, Cathy Broski, Holly Wilson and Bernadette Esperanza Torres in 2013, to Davis, California for CCACA (California Conference for the Advancement of Ceramic Art) showcasing the figure. They are all current MAKERS using the human form in their art so with NCECA coming to Kansas City for the 2016 conference it is the perfect opportunity to showcase people who influenced them personally through the figure. Strictly Figurative: Invitational is about ceramic MAKERS who use the figure in their art to tap into some essential common humanity. Cathy and Bernadette chose MENTORS who have made MILESTONES within the figurative ceramic community. Each MAKER they invited has a personal relationship between all or some of the exhibitors. To list a few; Linda Ganstrom and Mark Chatterly are Cathy Broski’s MENTORS inspiring her to make larger scale work. Bernadette Esperanza Torres first learned about clay through her high school art teacher Bede Clarke who is going to exhibit at The Carter Art Center Gallery during NCECA. Other relationships include Lisa Clauge and Arthur Gonzalez who inspire each other in their artwork. Misty Gamble’s MENTOR is Arthur Gonzalez. 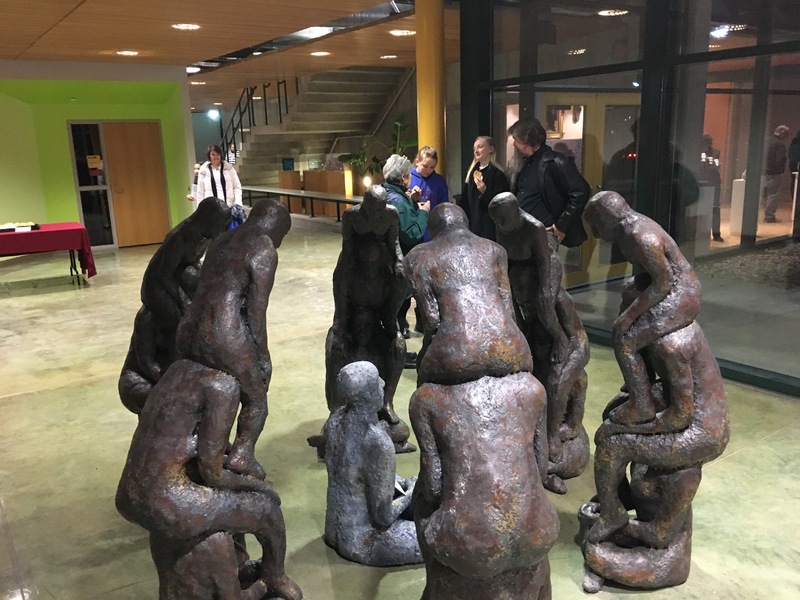 “Strictly Figurative: Invitational” is an exhibit about ceramic figurative MAKERS who are MENTORS who have made MILESTONES within the figurative ceramic community. 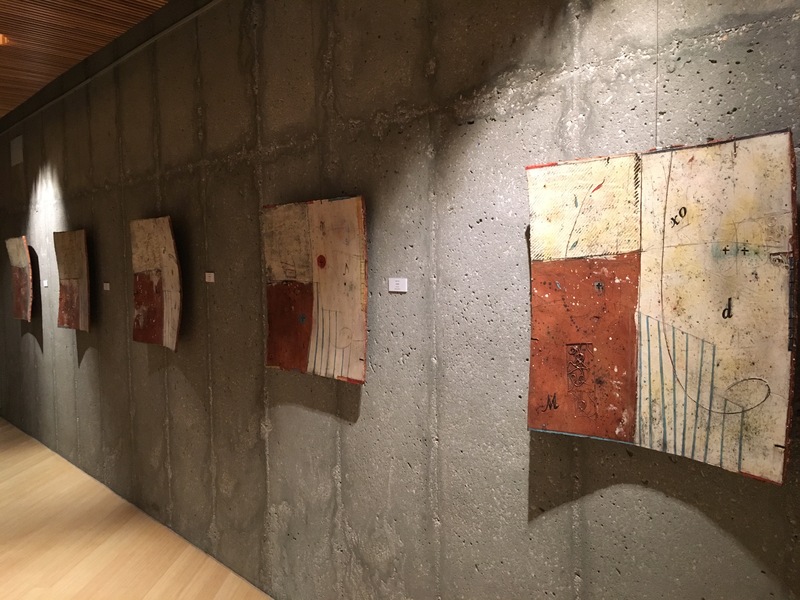 Finally, in the last gallery space, enjoy “The Sound of Color”, A solo exhibit of nationally known ceramic artist Bede Clarke who is also the Ceramic Professor at The University of Missouri- Columbia. What I am interested in distinguishing is the record of the moment when the hand touches clay and the actual quality of feeling surrounding the work. The standard of success I am interested in is a standard that gauges the work’s caliber of compassion and intelligence – the liveliness of its response to being a human. I’m trying to make things that say to me, “maybe there is more here than I ever imagined – can I just grow a bit taller to see it and listen a bit deeper to hear it?” It’s always just ahead, just around the next corner. It can be a part of the wonderful complexity of being a human and it can also be nothing – nothing, if that’s what we chose to make of it. I want to find simple, direct methods of working, methods that allow compassion and humanity to be heard over the technical virtuosity of a clever hand and a trained eye. Ways of working that respond to the only ability I have ever had, wishing the work well and silently encouraging it to “be good, be good.” I keep returning to the studio simply trying to bring as much sincerity as I can muster to bear upon the work. 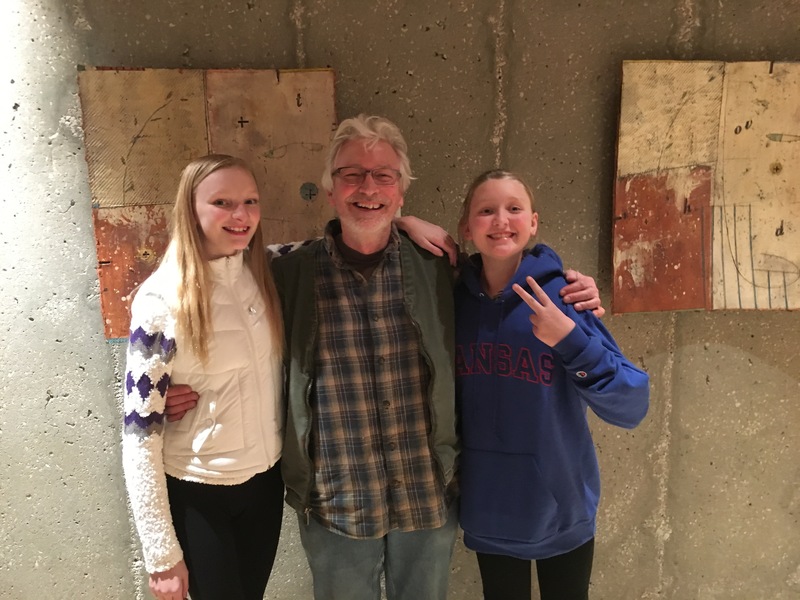 Steven Hill pauses to pose with two Bede Clarke wall pieces, and two Cindy Bracker daughters.